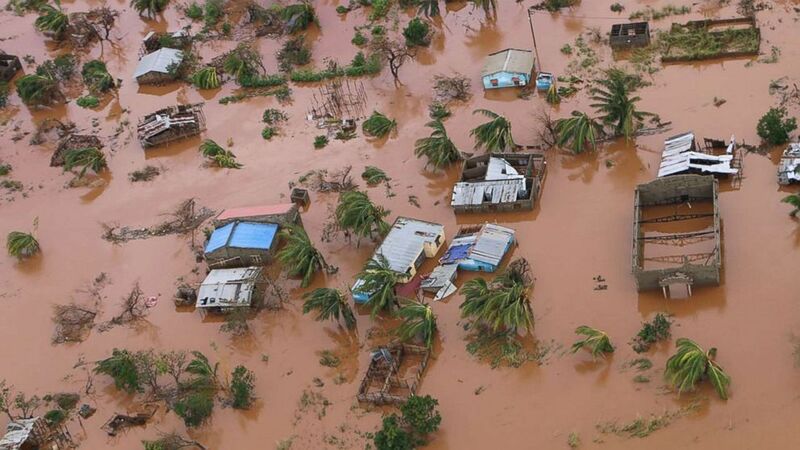 The storm has killed at least 345 people in Mozambique, Zimbabwe and Malawi. 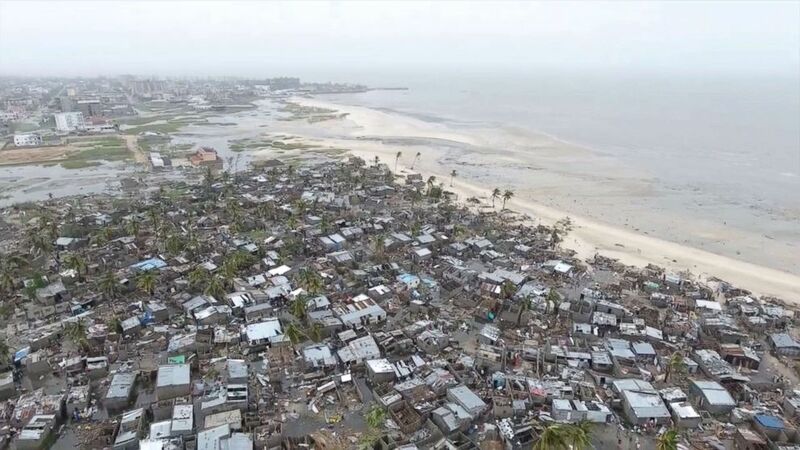 (International Federation Of Red Cross And Red Crescent Societies/Reuters) Drone footage shows destruction after Cyclone Idai in the settlement of Praia Nova, which sits on the edge of Beira, Mozambique, March 18, 2019 in this still image taken from a social media video, March 19, 2019. Verhoosel said World Food Program staff members who flew over areas flooded by swollen rivers spoke of "inland oceans extending for miles and miles." 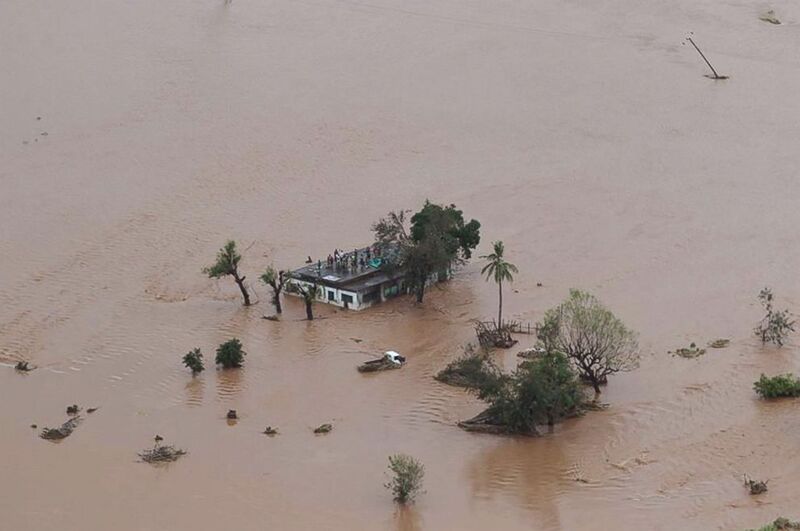 (Rick Emenaket/Mission Aviation Fellowship/AFP/Getty Images) This handout picture taken and released, March 18, 2019, by the Mission Aviation Fellowship shows people on a roof surrounded by flooding in an area affected by Cyclone Idai in Beira. ABC News' David Rind contributed to this report.